← Antique multi-book research carousel or Ferris wheel? 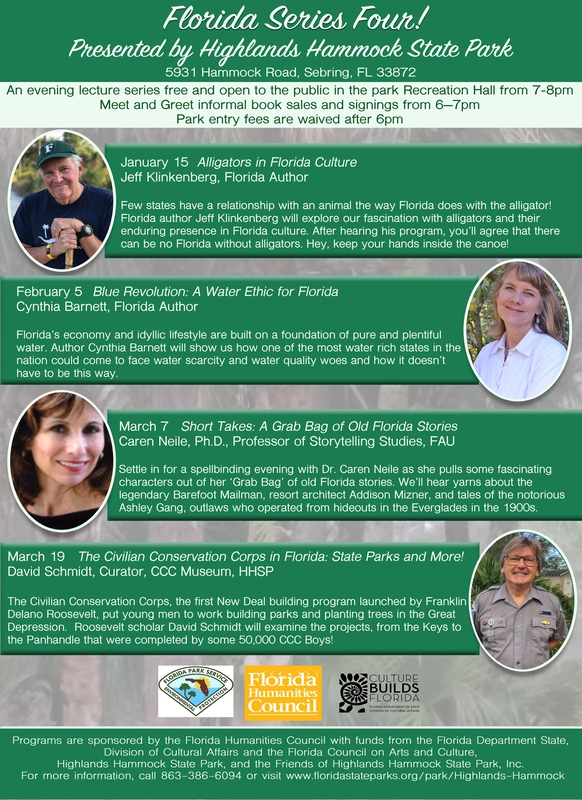 2019 speaker series sponsored by the Florida Humanities Council at Highlands Hammock State Park. Our ‘Florida Series Four’ programs are free and open to the public. The first one is scheduled for Tuesday evening January 15, 2019.